After sitting up in 7th heaven at Met Life Stadium to see the Jets and Giants a few weeks ago it was nice to sit up front to see the LIU Post football team play today. 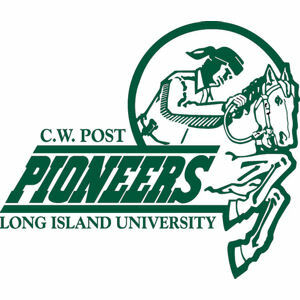 The name of the school was changed from CW Post to show more of an identification with the parent Long Island University. Most of the games we have seen there have been high scoring blowouts, but today's game was close. Edinboro University located in northwestern Pennsylvania tied the game with 28 seconds left in regulation. They scored a touchdown in overtime to win 31-24.